Find hotel near Hamlins Hill Mutukaroa Re .. The small natural space is known for its open pasture type trails which have attracted a lot of hikers and visitors alike over the years. Maintained by the government body, Hamlins Hill Mutukaroa Region is home to vivid green surrounding and lots of flora and fauna. Many people come here for exclusive bird watching given the numbers of birds found here. Others, a simple walk around and enjoy the greenery or click some pictures as treasure while they are here. 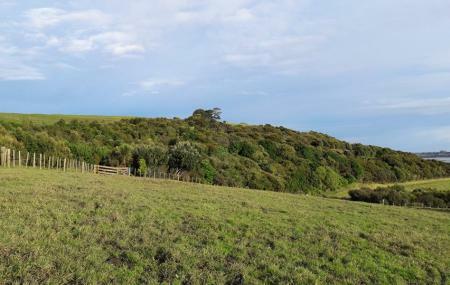 Just like other space in Auckland, one can enjoy activities like hiking, mountain biking, running and such. For dog walking, there is a space as well. Come for picnicking on a fine sunny day and enjoy some memorable moments with your loved ones. How popular is Hamlins Hill Mutukaroa Regional Park? People normally club together Butterfly Creek and Mangere Mountain while planning their visit to Hamlins Hill Mutukaroa Regional Park. I love this little gem in the middle of the city suburb, it's quiet and peaceful. You get to be up close with cows. Easy to walk tracks with a small forest but the farm walk is basically just green so not advisable on a wet day or has been raining. Nice little 15 min climb, decent views. It's alright. Peaceful because hardly anyone goes there. Easy walk.